There doesn't seem to be a way to allow managers to remove users from a project. They can be added, but we can't seem to find the “trash can” icon to delete them. We can do it from the backend, but my clients only want managers to access the site from the front end. How can we do this? You must assign the type of user for “Project Manage Capability”. 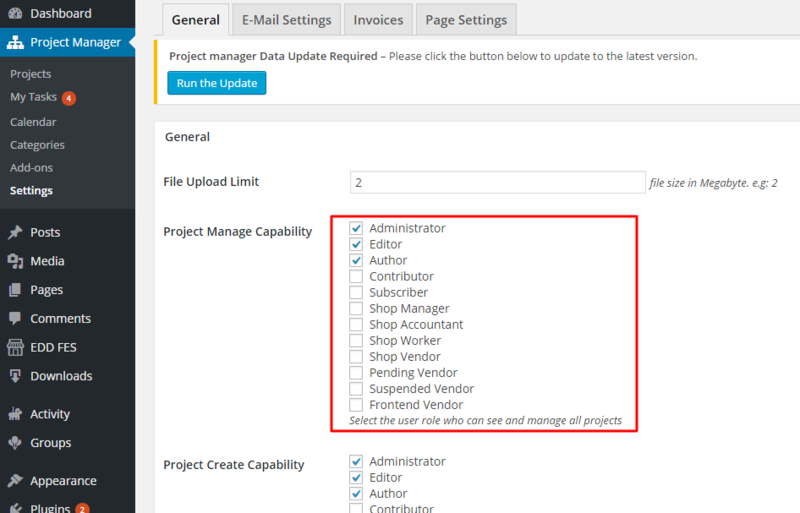 To get the “Project Manage Capability” option please navigate to “Project Manager->Settings->General->Project Manage Capability”. Suppose you have a user as the subscriber. Then you have to mark the tick fo that user as according to the following screenshot. After then you have to assign that user for a project as a manager. When the manager login into the site, can delete, edit and update the project. The topic ‘Remove Users in Front End’ is closed to new replies.